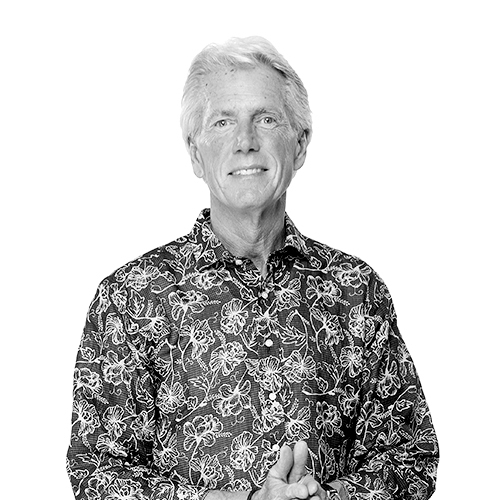 Steve combined forces with his father, Chip Atkins, in 1974 and together they built one of the state’s preeminent advertising agencies. Today, Steve leads this full-service creative agency that boasts an equally well-known reputation for successful national, regional and local branding campaigns promoting diverse industries such as tourism, beverage, grocery, sports marketing, business-to-business and healthcare. In addition to putting San Antonio on the creative advertising map, other notable accomplishments include: creating innovative solutions for the development of a tourist call center for Mexico’s Ministry of Tourism; orchestrating one of the very first customer relationship healthcare marketing platforms; as well as overseeing the development of branding campaigns that competed against and beat top global agencies in national award competitions. When not running from board meeting to board meeting (he’s on more than a few), Steve’s “me time” is spent with wife Christy and their daughter Jessie. SAS Shoes, CHRISTUS Santa Rosa, TTIA – Texas Tourism Industry Association, SeaWorld San Antonio, San Antonio Convention & Visitors Bureau, Baptist Hospital System, Spurs Sports & Entertainment, Westin La Cantera Resort, La Posada Hotel & Suites, Plano Convention & Visitors Bureau, Posadas USA, Valero Alamo Bowl, Mazatlan, Mexico Tourism Trust Fund, Ixtapa/Zihuatanejo, Mexico, Bays of Huatulco, Oaxaca Mexico, Secretariat of Tourism, Mexico (SECTUR), VivaAerobus, Valley International Airport, Laredo Convention & Visitors Bureau, CPS Energy, South Padre Island Convention & Visitors Bureau, Hyatt Regency Hill Country Resort & Spa, H-E-B, Frost Bank and The University of Texas Health Science Center.